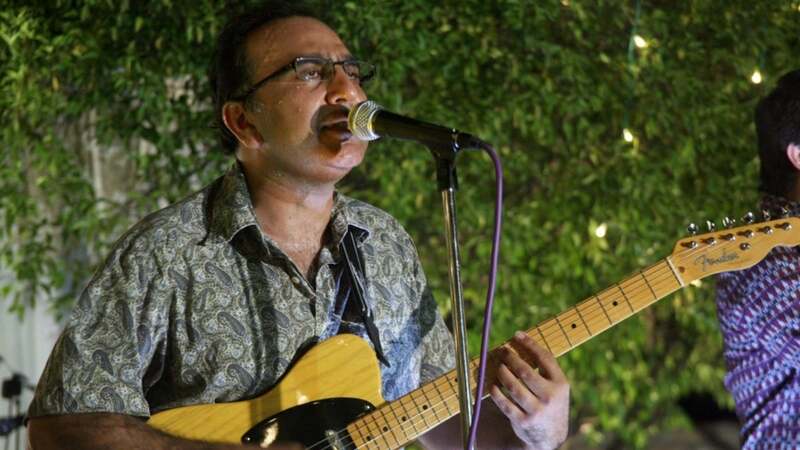 Gifted guitarist, Rizwan-ul-Haq is back and seems like he’s here to stay. Having contributed to the domestic music industry immensely and in various capacities, the multi-instrumentalist served as a composer, record producer and backing vocalist over a career lapping more than 25 years, however, his claim-to-fame has undoubtedly been his romance with the guitar. 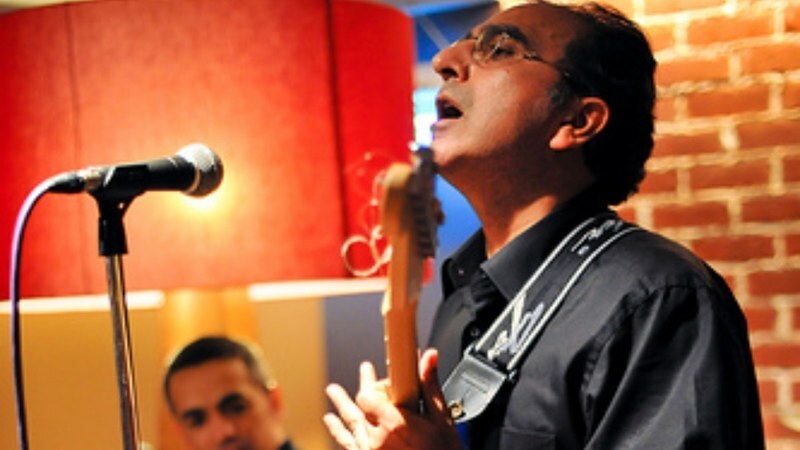 Having been an integral part of one of Pakistan’s most iconic pop-rock bands, Vital Signs and played for three of its albums, VS 2, Aitetbar and Hum Tum before his departure, and new beginnings as a solo artist. Though he was amongst the initial producers of Coke Studio alongside former band-mates, Rohail Hyatt and Shahzad Hassan, Haq has been on a sabbatical of sorts since until Patari released his latest band, RockLite’s first official single, ‘Kaun Hai Woh’ last week, with an intriguing music video, half-animated, helmed by Zeeshan Perwez. Images: Tell us a little about how RockLite came into being and what inspired you to group with another band after Vital Signs? 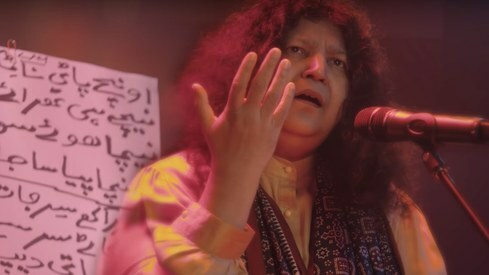 Rizwan-ul-Haq: After Vital Signs, I formed another group called Suroor and released the song ‘Teri Gali’, and I didn’t know it would actually become something. We made a video just for fun and sent it to MTV India, in 1996 and it suddenly became big. But I took a backseat for a while, I think I’d seen so much of and the best of everything, I got involved with other work and music wasn’t my first priority anymore. 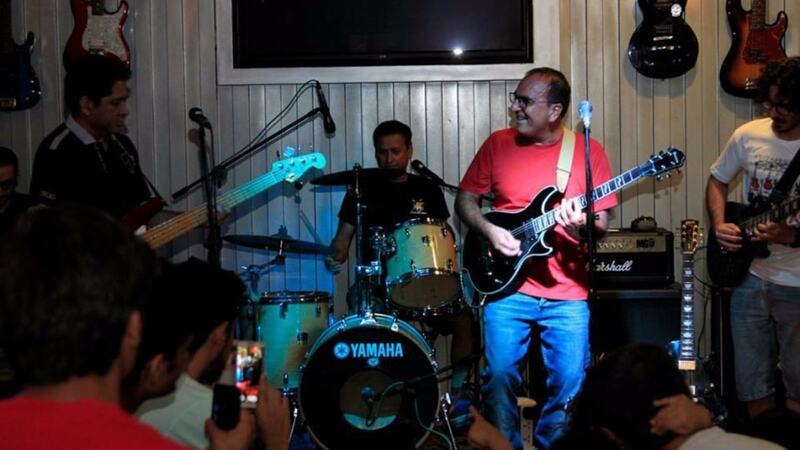 In 2006, my bassist Imran and I got together for jamming and then Allen Smith left Karachi, shifting to Islamabad as well, so we met up and that’s when all three of us got serious about forming a band. And we teamed up as RockLite; we had an Italian keyboard player as well at the time, who worked at the Italian embassy actually, and suddenly we had this fantastic sound. We started off with covers and played at events, and got busy with the foreign, diplomatic circle. Taking on with that for a couple of years, we took on board a few more members that left, and just till recently, a few months back, I wanted to go one step higher because I felt RockLite wasn’t just a cover band and it has more to it, and a lot to offer. I just went into the studio and recorded the first single ‘Kaun Hai Woh’, I was really happy with the outcome and got encouraged to end up making about eight songs, all of which are coming out with their own videos. Now, the feel’s back and I’m inspired, some spirit has taken over and the music is just pouring out. Images: How did your band-mates from RockLite come together and makes you work collectively? Rizwan: RockLite is and will always be myself, Imran and Allen because we’ve sacrificed too much for this band in our individual capacity. We’ve suffered a lot as people, keeping this band together, not breaking up, each one of us have gone through a lot of highs and lows, but we’ve been there for each other. Recently, we’ve been blessed to have Parham (guitarist) and Varqa (keyboardist) join us, then my cousin, Bilal (lead vocalist), a superb talent came back from Australia and he’s joined us too. All of us think alike, we come from normal backgrounds, we’re not spoiled, loaded kids, we had to prove ourselves for whom and what we are, and so we’re similar in how we think. We’re aiming for the stars with six feet under the ground. Images: Tell us a little about your latest track, ‘Kon Hai Wo’, what’s your inspiration behind it? Rizwan: At my age, I can’t directly sing a romantic number for a girl because my wife’s waiting for me at home (laughs). When we were young, I’d sing for girls by their names, but now, there are riddles, who is it? And that’s the song; but it can be anything and anybody. Jokes apart, it isn’t limited to romantic love, it can be a friend, a stranger, a guy also, and so I’ve generalized it and let people sort of ponder over who we’re referring to in our track. ‘Kon Hai Woh’ came from that frame of mind when it was lyrically written. Images: In times of online streaming, how do you think music can monetarily be viable, to be pursued professionally? Rizwan: I was never into social media, I’ve always believed in sending songs to TV channels. But I think my thinking has had a bit of a complete one-eighty degrees, online is all what it’s about. 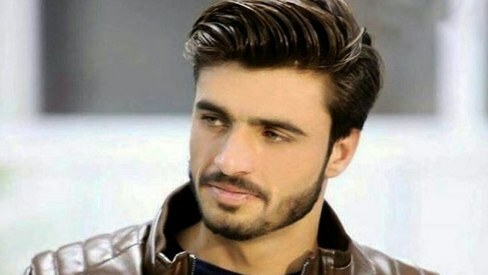 People live off of the internet, for example, there was this Pakistani pathan working at a dhaba and suddenly he’s the famous chaiwala supermodel! I think it’s very powerful and it’s the medium to put across your talent [and find opportunities], so I’ve become a strong believer of internet streaming. Images: Rock as a genre has deteriorated over the years, how do you view the current music scenario worldwide where easy-listening has taken centre-stage? Rizwan: It hasn’t faded or died away, there are so many hard-rock, heavy metal bands that are still out there. In Pakistan, yes, the genre of music isn’t rock, corporates don’t recognize it as such, also because the following isn’t widespread and it’s defined as ‘underground’ and not mainstream, you have lighter, more easily-absorbed and digestible music available. But I do feel that the scope of listeners has expanded rapidly now, you have listeners for everything and I’m surprised that RockLite’s come up with a song that’s a lot like the music from the 80s’, and the response has been overwhelming. I do feel that all over the world, any style and form of rock does play a very vital role; it always will. Images: In times where Junoon has also joined its forces, have you been in touch with Vital Signs’ band-mates, and can a reunion be expected? 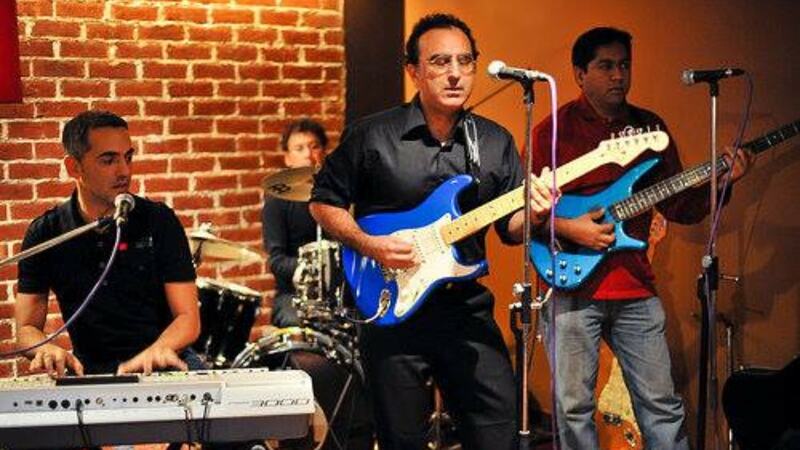 Rizwan: J (Junaid Jamshed) has passed away and it’s excellent that Junoon have been fortunate to reunite and perform once again, people love it, and so do I! With Vital Signs, I am not too sure. Shahi is with Pepsi, Rohail is doing his own thing, and I’m not sure if they’d want to come again as Vital Signs, and be on the same stage together. It’s pretty difficult, it’s not that practical; I feel it’s easier said than done. If it does, it’ll be fantastic to have a reunion concert; in fact, I’d love to have Nusrat Hussain there as well because he played an integral part in the chorus of ‘Dil Dil Pakistan’. Why not? If the opportunity comes up, I would love it.